Don't let them be forgotten. 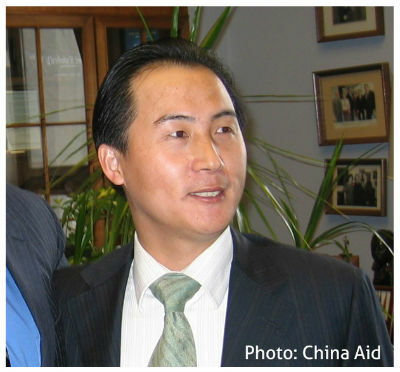 Beginning in July 2015 over 300 human rights lawyers and activists, as well as those connected to them (including their friends and family), were detained, interrogated or imprisoned by the Chinese government. Some of these lawyers have since vanished into China’s prison system. Others were released, but have lived with the threat of re-arrest hanging over them ever since. The world cannot ignore their disappearance any longer. Without them, religious minorities in China have no one to defend them. The Chinese government would rather we forgot about these 300 human rights defenders: we can’t let that happen. "The Lawyers That Were Left"
Li Jing, a young lawyer watching the events of the July crackdown unfold around her. This composite case study is constructed from real accounts. Similar things have happened, but we have changed the details. Zhang Kai is one of the foremost rights lawyers working on cases involving freedom of religion or belief. 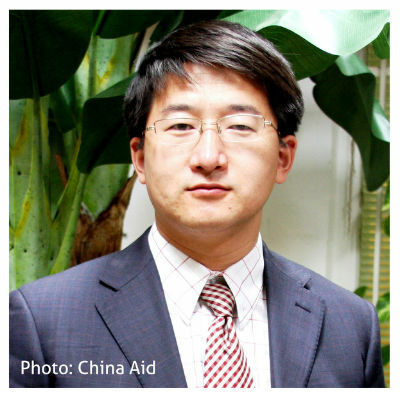 A Christian himself, Zhang has worked on rights-related cases in various parts of the country. After Zhang investigated the unnatural death of a Falun Gong practitioner Jiang Xiquing in 2009, he was detained by police and locked in a metal cage. Recently, he has been heavily involved in providing legal advice for churches in Zhejiang Province who were facing the forced removal of their crosses or the demolition of their buildings. Zhang defended Protestant Pastor Huang Yizi, who protested the demolition of crosses and churches in Zhejiang Province and is also currently in detention. On 25 February 2016, he appeared on Chinese state television appearing to ‘confess’ to “disturbing social order”, “endangering state security” and "behaving in an unprofessional manner". He had no access to a lawyer and activists believe the ‘confession’ was the result of coercion. 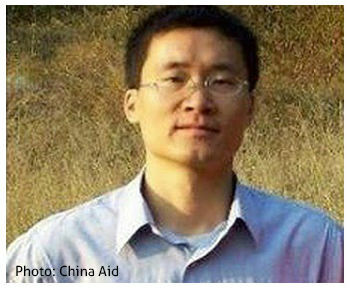 Zhang was released on 23 March after almost seven months in detention. Li Heping has regularly defended Christians, Falun Gong practitioners, and other human rights defenders including the blind self-taught lawyer Chen Guangcheng. In his defence of religious communities, Li has argued against the labelling of religions as cults and has asserted all individuals’ right to freedom of religion or belief. As a result of his work defending vulnerable groups, Li has been threatened, harassed, detained and severely tortured. He was detained during a countrywide spate of detentions involving over 300 lawyers, activists, family members and associates beginning in July 2015. He was arrested on suspicion of ‘subversion of state power’, which carries a maximum penalty of life imprisonment. On May 9 2017 Li was released and returned home to his family after almost two years in incommunicado detention. Sentence: Sentenced to three years in prison on 28 April 2017. This sentence has been suspended for four years. During this suspension period, Li Heping’s political rights will be suspended and he will likely be placed under constant supervision. Released: Released and returned home to his family on 9 May 2017. Notes: Although Li is now at home with his family, his wife has reported that he is being monitored closely by the authorities. It is likely there will be restrictions on his freedom of movement and freedom of speech and expression for the duration of his suspended sentence. Tang Jingling was arrested on 20 June 2014. While in detention he has been denied access to a Bible, and hasn’t been allowed any contact with his family. 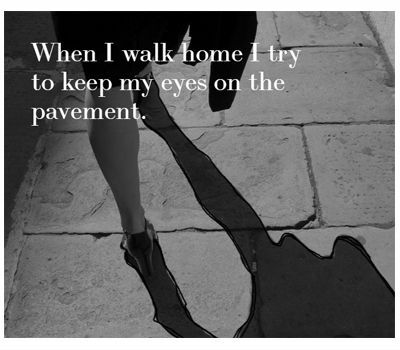 Forced labour, malnourishment and physical and mental torture have also been reported. Almost a year and a half later, on 29 January 2016, Tang was sentenced to five years in prison for "inciting subversion of state power". Tang was detained long before the crackdown beginning in July 2015, but his harsh sentence is typical of the authorities' use of subversion charges to silence and disappear lawyers and activists defending human rights. In 2008 Wang Yu submitted a complaint after experiencing extremely rough treatment by the National Railway Administration. This case turned out to be a turning point in her career and the beginning of her work on human rights-related cases. Wang lost the case, was jailed for two and a half years, and had her lawyer’s licence suspended until 2012. April 2015 saw two notable cases: in one case she and another lawyer were physically dragged out of court; in another, she was barred from entering the courtroom. The trial she was due to attend proceeded without a lawyer. 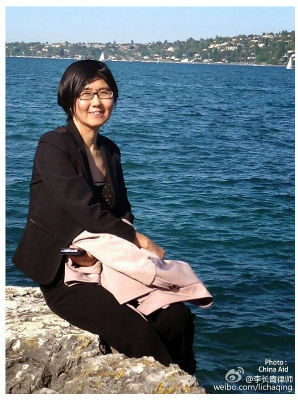 Wang’s disappearance in July 2015 inspired over 100 lawyers to sign a petition appealing for her release: in the days that followed, the majority of signatories were detained and questioned. Formally arrested on suspicion of ‘subversion of state power’, which carries a maximum penalty of life imprisonment, six months after a crackdown on human rights lawyers and defenders beginning in July 2015. Notes: Her husband Bao Longjun has also been formally arrested on subversion charges and their 16-year-old son, Bao Mengmeng, is reportedly under 24-hour surveillance. If you would like to further support CSW's work to protect freedom of religion or belief in China, you can donate here.